The 2017 GRADS in the Philippines kick-off an exciting milestone mark for the country. 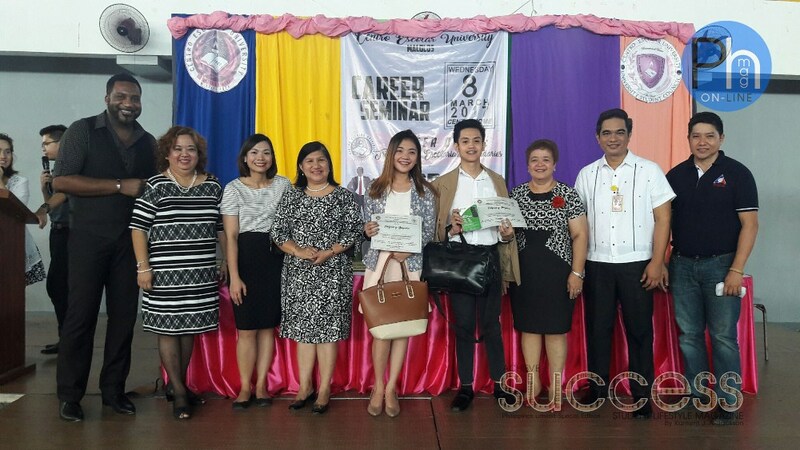 Not only has the country introduced an inspiring entrepreneurship push within their educational regular and extra-curricular system, but they have also adopted the Western K-12 system as well. decision which will add 2-years to new high school a.k.a. 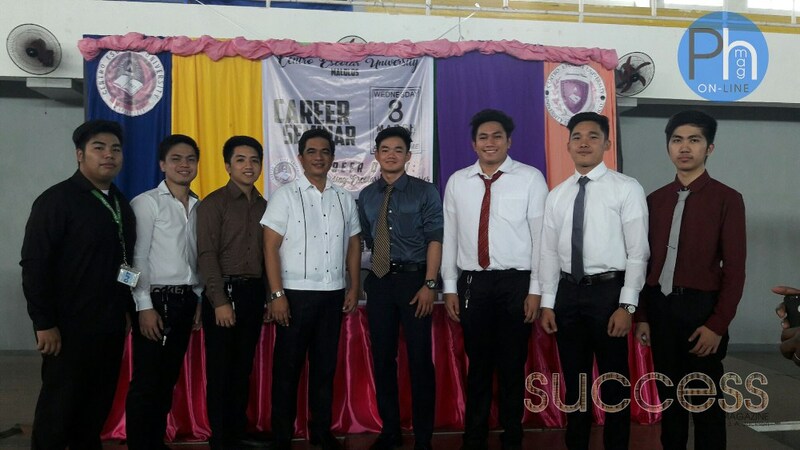 Senior High School student graduations. Both are huge innovations in the Philippines, which position 2017 Grads and beyond with intellect and life-experiences which will place them on a global-playing field. That, coupled with the ultra-efficient bi-lingual English-Filipino language speaking abilities they poses already have the world looking to them for millions of opportunities. In addition, todays Grads are unleashed on the most-optimistic Philippine-economy in modern history. The Philippines not only has beaten out India in the call center and BPO industries, but has also ranked top in the world for English-speaking, well-qualified, professionals and thus has become an economic boom market. Real estate, TECH, beauty, entrepreneurship, retailing, buy & sell, medical, tourism, resorts, restaurants and luxury items are just a few of the multi-billion peso (and US Dollar) markets in this new Philippines economic renaissance. There is no doubt, the Philippines –and the world- have all learned from the mistakes of their ally, The United States. America, which experienced a devastating recession as job-seeker numbers, drastically outpaced entrepreneurs and job-creators. 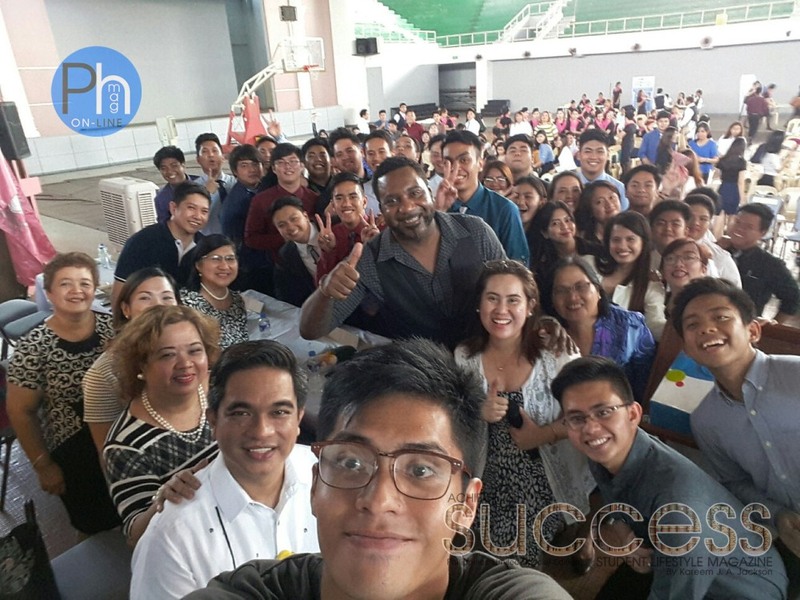 More than 500 future doctors, lawyers, IT professionals, entrepreneurs, millionaires, billionaires, celebrities, varsity, CEU faculty and more attended the CEU 2017 Philippines Career Quest -Global to kick-off their new GRAD Season. As well as, nearly 20 businesses, corporations and recruiters. The Career Quest proved to be an amazing ‘Meet & Greet’ opportunity for Philippines Youth to be inspired, network and be showcased to local and international business owners, corporate and small-business recruiters, view entrepreneurial opportunities and franchises in their quest for post-graduate success. 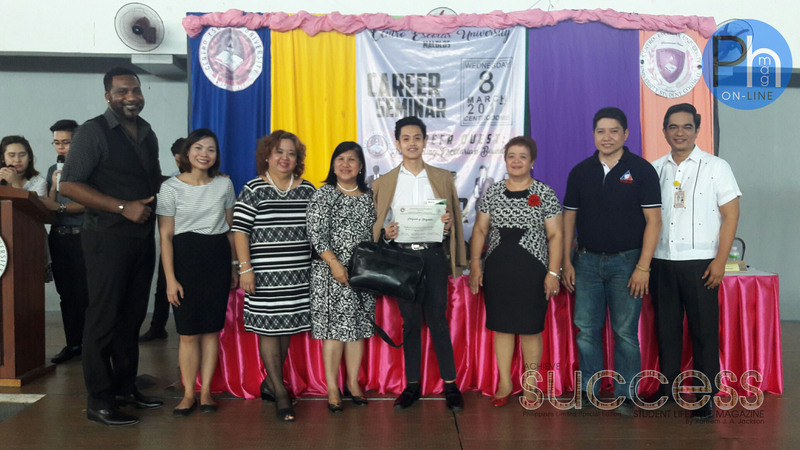 2017 Philippines Career Quest was hosted by Centro Escolar University (CEU) in Malolos City, Bulacan, one of the Philippines most progressive higher-learning institutions. 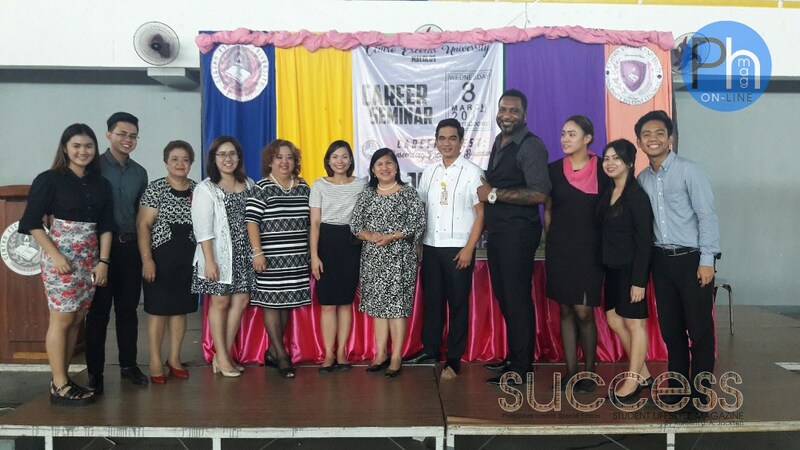 This year, CEU added a global-centric twist to the event when they secured multi-award winning, American serial-entrepreneur, international business development consultant, magazine publisher, event, radio and TV host Kareem Jackson. 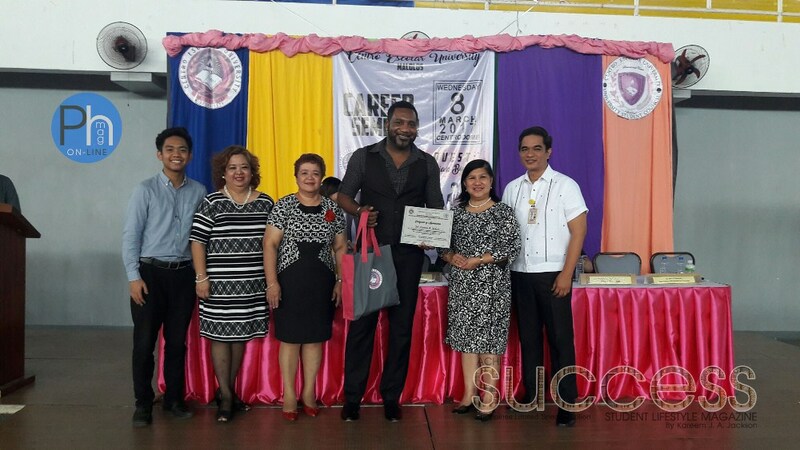 Jackson was the CEU Motivational Resource Speaker for their “Transcending Escolarian Boundaries” Commencement Kick-Off Address to the more than 500 students, varsity, alumni, entrepreneurs, deans, and faculty expected to attend the live Centrodome event. CEU is consistently, one of the Philippines most-innovative higher-learning institutions and has produced some of the country’s top graduates. 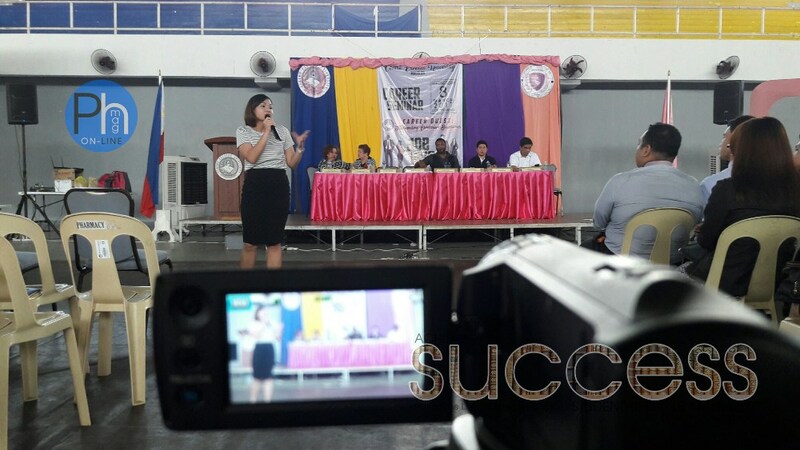 As the kick-off to their venture into both the Senior High School and International Student arenas, CEU is one of the first institutions in their area to offer students real-life, true-international inspirational speakers and imported insights. 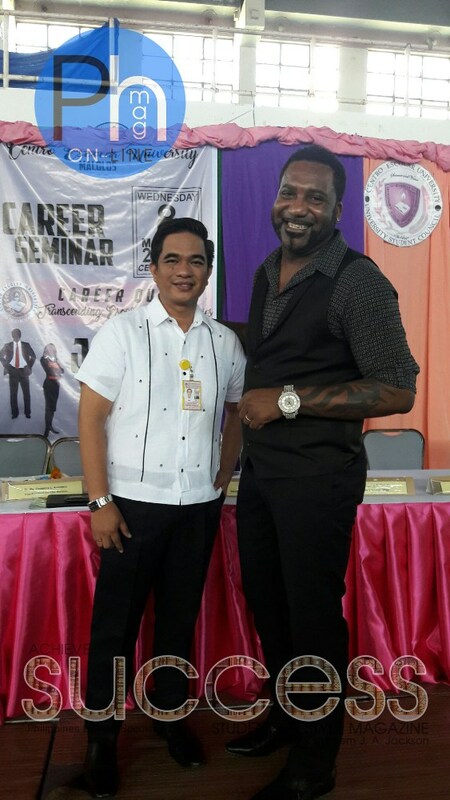 Once again, known for their innovation, CEU took the industry lead, stepped outside-the-box and booked one of the first black American motivational speakers ever to speak in Bulacan, Philippines –at any event. The grads and other guests enjoyed a rare look into the inspiration, ambition and tenacity of the black American entrepreneurial culture. Jackson related to them in a way which surprised everyone. 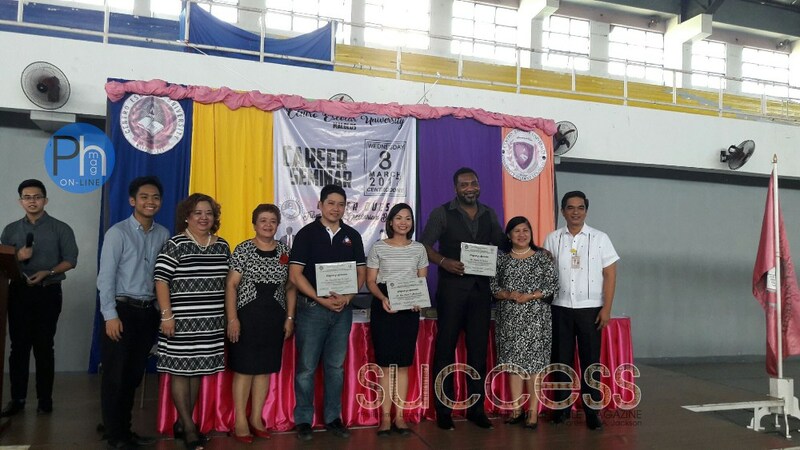 Mr. Jackson began his motivational speech in the Tagalog language “Magandang umaga…sa lahat…edi wow! I am…dito na ako in the amazing CEU Class of 2017! 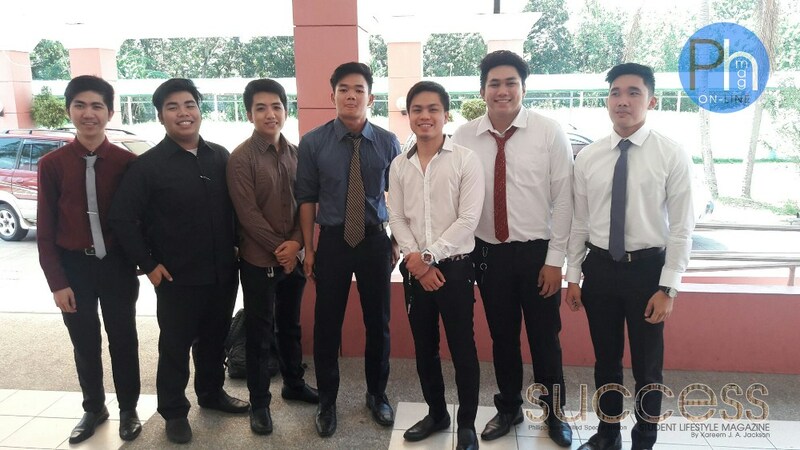 Kumusta ka everyone…” then he went on to offer his gratitude to his host, Dean Dr. Nilo Francisco. And then, connected with the Philippines Youth by talking about his videoke or karaoke experiences in the Philippines. He then, sang out loud, American R&B singer R. Kelly’s ‘I Believe I Can Fly’ which is a popular Philippines Videoke song “I believe I can fly…I believe I can touch the sky…I think about it every night and day…spread my wings and fly away…” and the group joined in. It was a charming engagement and was the breezeway into the theme of the event; believing in yourself and breaking through the boundaries. Speaking on the better position these grads are in than any of the professors, Dean(s) or himself had at their age. Jackson went on to explain to the soon-to-be grads, “…money is an outcome. Just as grades are and outcome in school. Do not chase money…chase your passions and your dreams. Do what makes you smile…then, money will follow…and so will true-happiness. You have literally hundreds of thousands of options globally and domestically…” explained Mr. Jackson to the engaged audience. Throughout the speech, Mr. Jackson used tag-lish; a mixture of Tagalog and English, and it kept the grads laughing and focused, as many of them had never seen a black American (or any foreigner) speak in their language. Jackson’s use of the Tagalog language is limited, however his ‘canto’ or down-to-earth slang style he learned from real-Filipinos, during his 100+ true-life Philippines tours in the Philippines was both refreshing and entertaining. Kareem Jackson, is a multi-award winning, American, serial-entrepreneur, he has received a US Government Resolution for his contributions to minority America, Ingram’s Masterpiece Award for publishing, he is the CEO of his own international business development group KA&CO America and is the US Executive Publisher of The Philippines Magazine International and guests were pleasantly surprised with his fun and festive delivery. 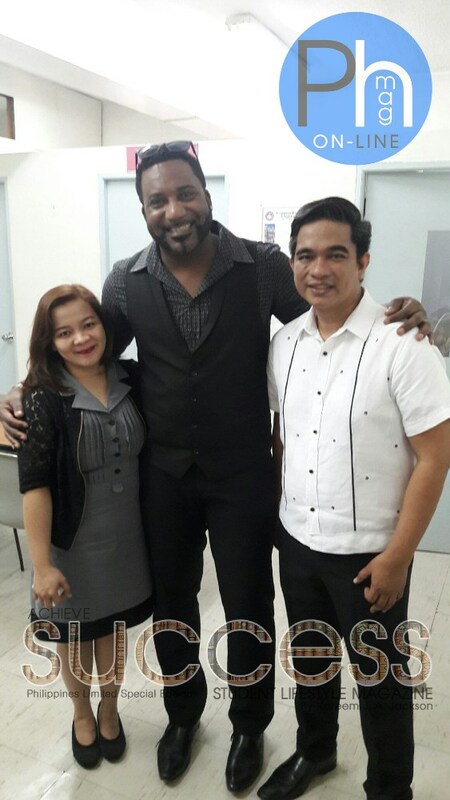 Kareem Jackson is a popular and inspiring personality in the Philippines. 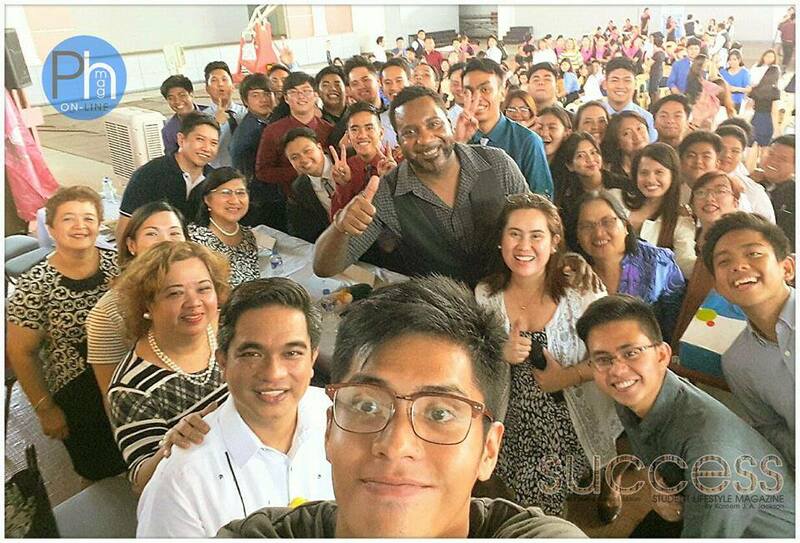 Beginning around 2011 after receiving an open invitation from PH former President Aquino III; Kareem Jackson has gone on more than 100 real-life, undercover, Philippines, immersion tours from the Shangri La, to remote provinces, to the shanty’s. Jackson, is the first black American Philippines lifestyle show host and he has published more than 1,000 articles, features, press releases, magazines, radio and TV segments promoting an ‘optimistic view’ of the Philippines. 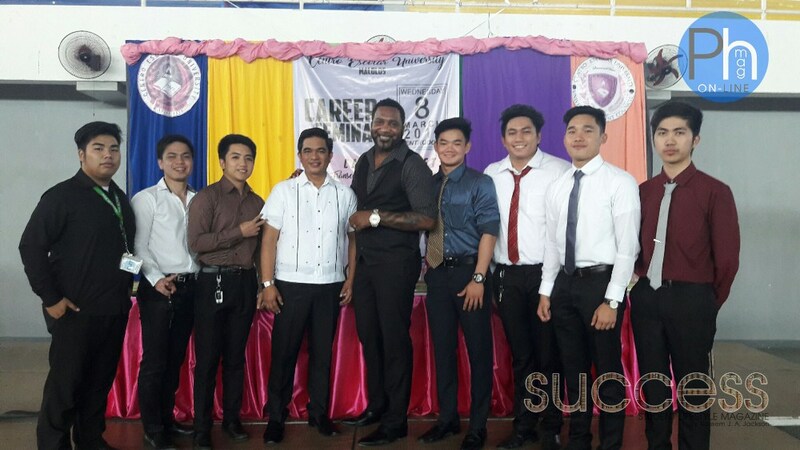 CEU sought out Mr. Jackson, in hopes bestow their 2017 graduates with a unique, global-centric and empowering experience: an experience which would again, set CEU apart from other institutions and they were not disappointed. In a post interview with The American Press Service (T.A.P.S. 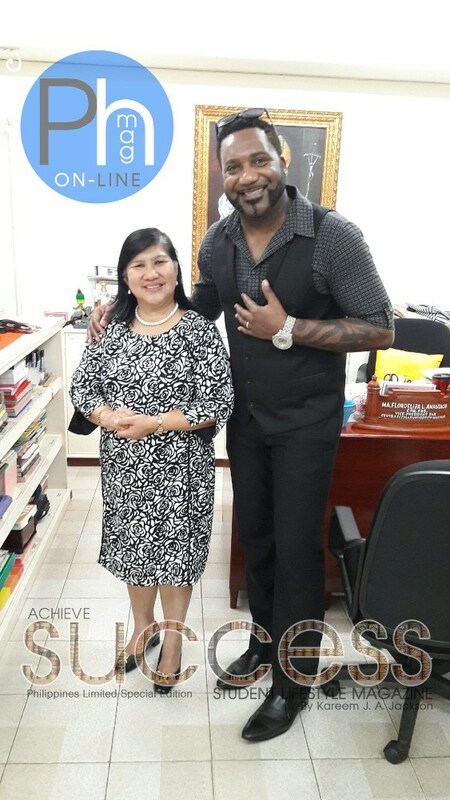 ), Kareem Jackson raved about the experience he has had with his first few youth tours in the Philippines while promoting his new student lifestyle magazine and youth seminar series, Achieve Success.